Welcome to kjrodgers.com! Subscribe to our blog to keep up-to-date with K. J. Rodgers and our books! Check us out on Facebook, Instagram, Twitter, and Pinterest, too. Our first novel, Mogul is now for sale online and in bookstores nationwide! Get your copy today! April 25, 2017 .Reading time less than 1 minute. 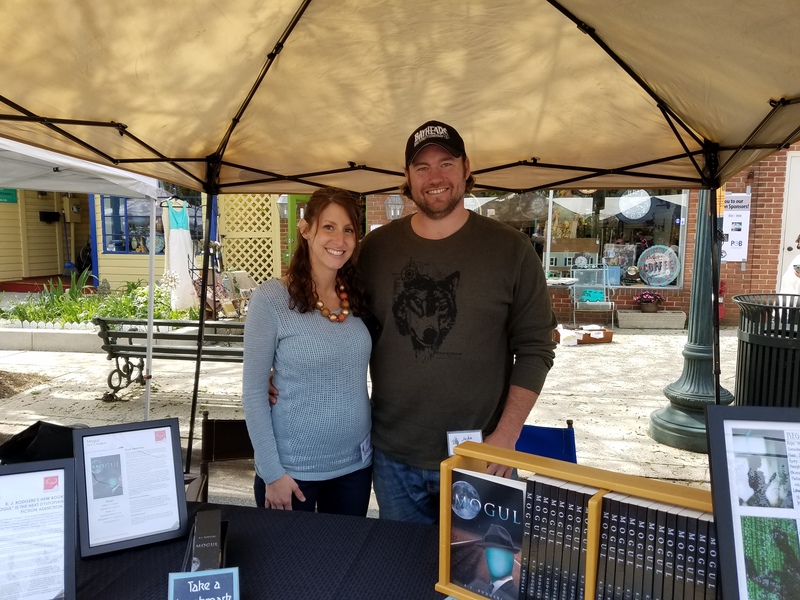 We really enjoyed the Day of the Book Festival in Kensington, Maryland on Sunday. Our favorite part was meeting and talking with the readers! We always enjoy talking dystopia with fellow bookish people. The weather was beautiful, the entertainment lively, the food delicious, and the authors were friendly and provided interesting conversation. We came home with a few new books to read and many copies of Mogul in readers’ hands. It may have been our first time in Kensington, but it won’t be our last visit to the charming town! April 12, 2017 .Reading time less than 1 minute. 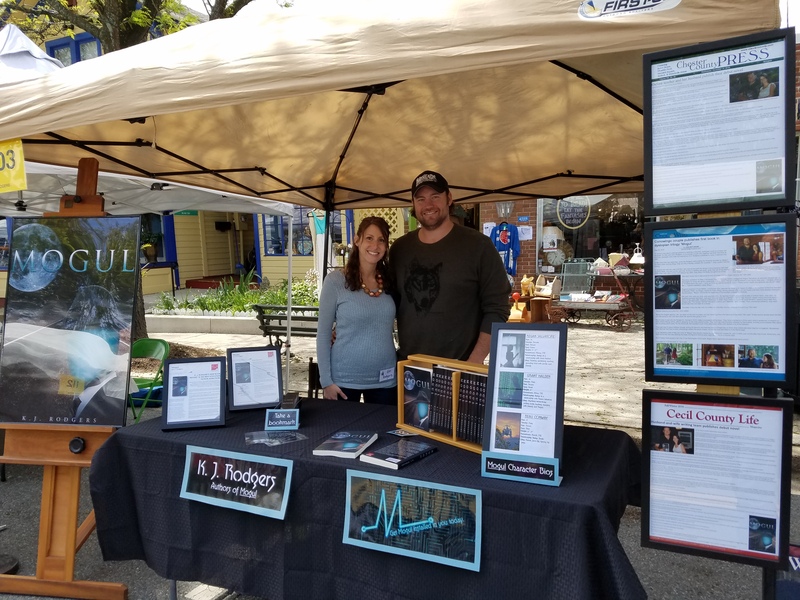 K. J. Rodgers will have an author’s booth at the Kensington Day of the Book Festival! 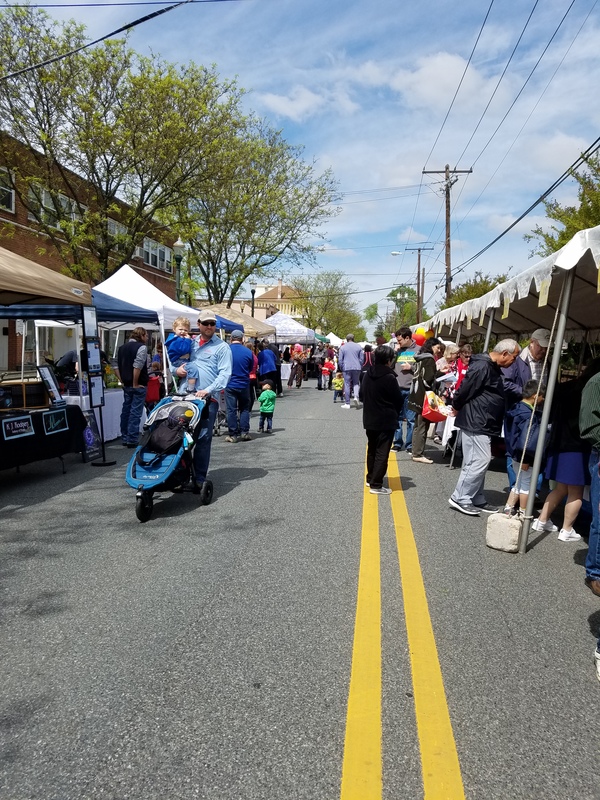 Find us on Howard Avenue in Kensington, MD on April 23, 2017, 11:00 AM – 4:00 PM. December 13, 2016 .Reading time less than 1 minute. December 12, 2016 .Reading time less than 1 minute. October 19, 2016 .Reading time less than 1 minute. August 29, 2016 .Reading time less than 1 minute. August 13, 2016 .Reading time less than 1 minute.